We flew from Helsinki to Pisa, Italy. We love to fly with Finnair. 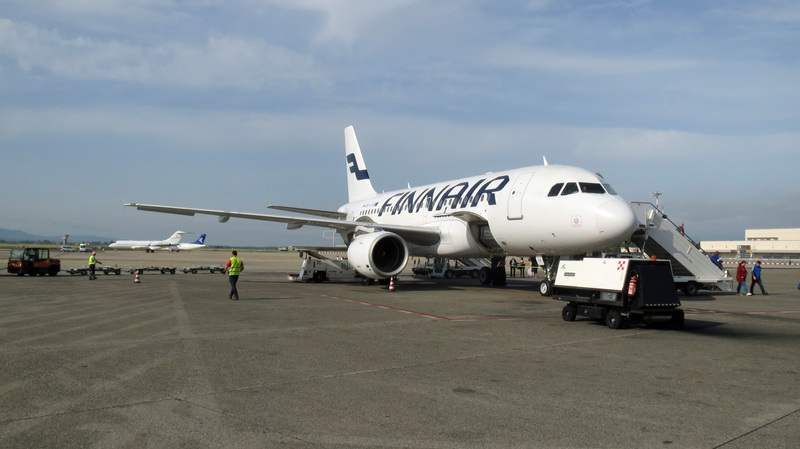 Finnair offers direct flights to many interesting cities and quality before and during the flight. 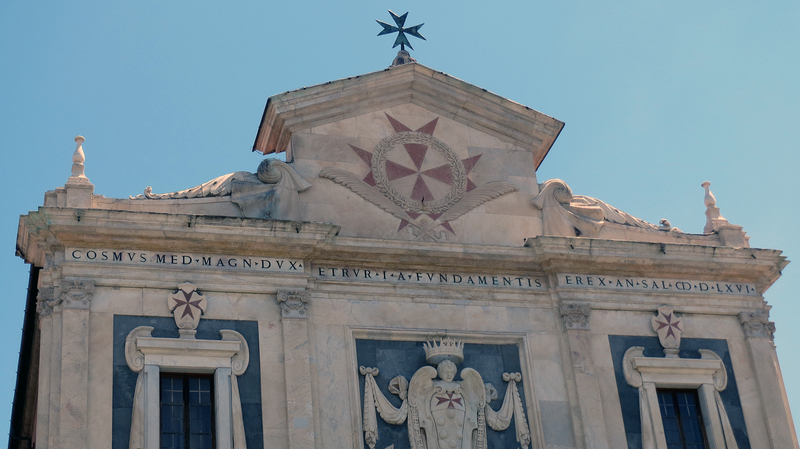 Pisa is a historical city full of beautiful buildings, churches, old towers and is known for its leaning tower (the bell tower of the city’s cathedral). 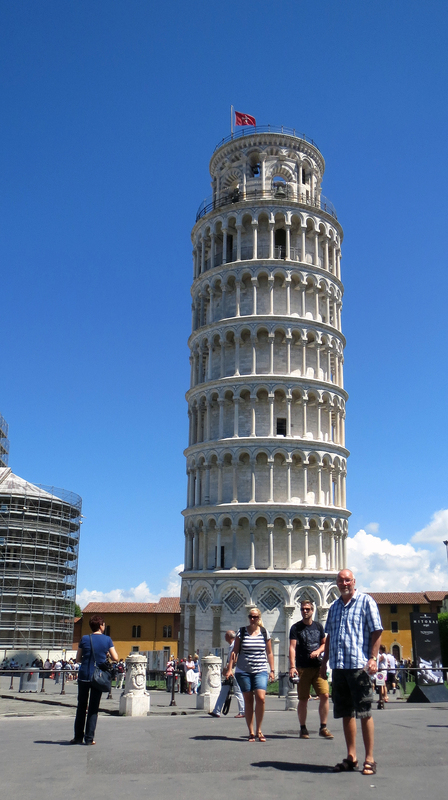 The leaning tower can be found at Piazza dei Miracoli. 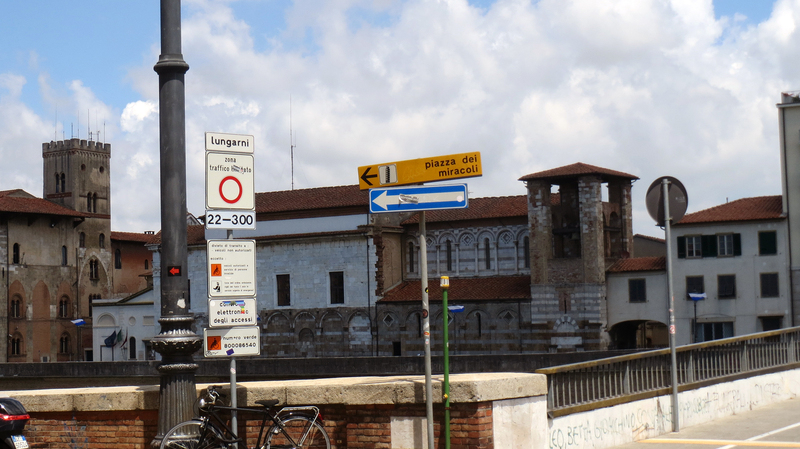 There are many street signs to help you find it. 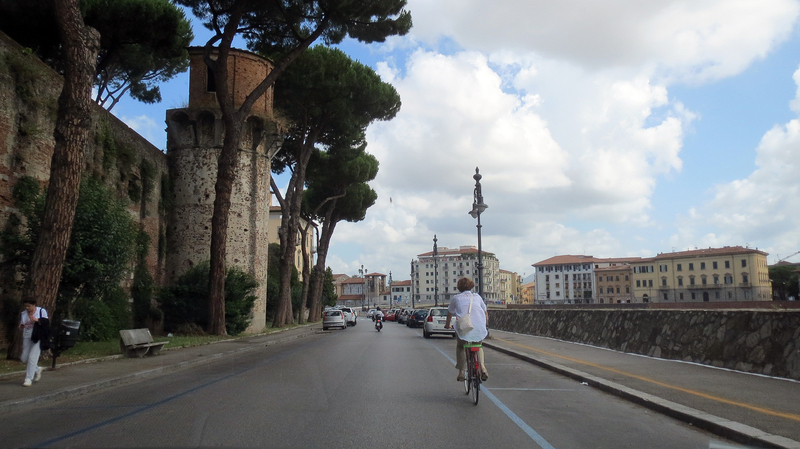 In Pisa people take the bicycle, walk or move around with a scooter. 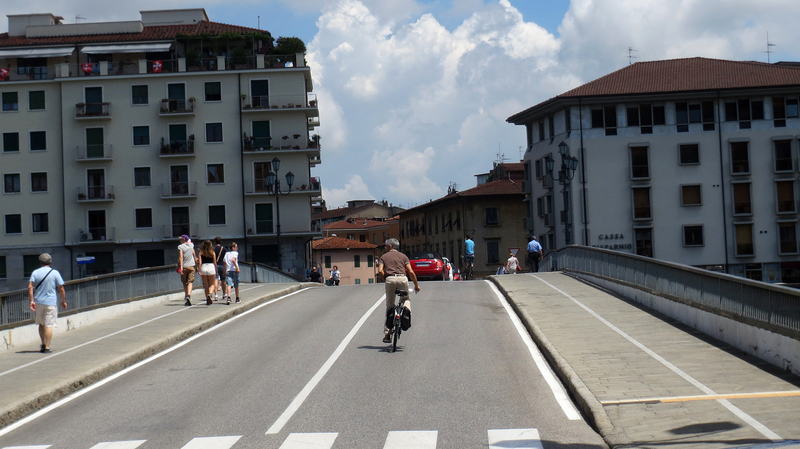 You can come to Pisa with your car, but it is best to park it before you cross the bridges to the old town. To avoid the rush hours, if you like to stroll around easily, come to the city early in the morning. We came down from our house in the Montemagno hills after nine o´clock and there were quite a lot of people by ten. The hot summer sun is also something to take into account. Remember a hat and the water bottle. 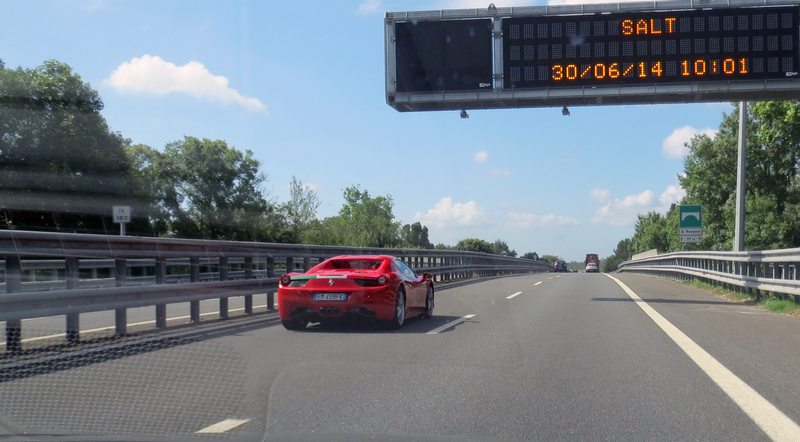 On the highway, on our way to Pisa, we saw one of our favourite cars – a red Ferrari. I snapped a quick photo when it passed us. 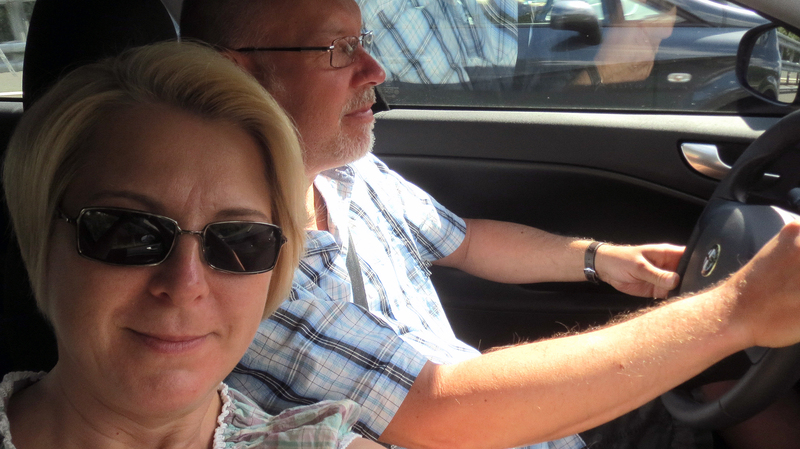 We parked our car before the bridges to the old town. Walking along the river Arno is nice. 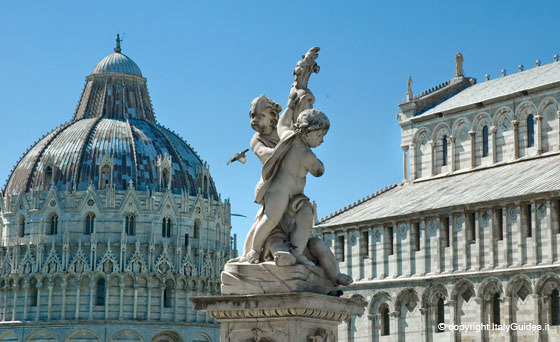 At the Piazza dei Miracoli, you find the Fountain of Angels (La Fontana dei putti). 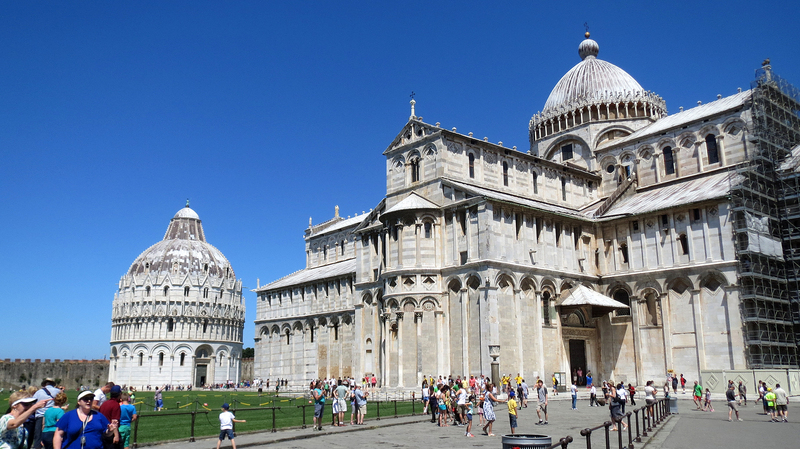 There is so much history and beauty at the Piazza dei Miracoli. You will be amazed. 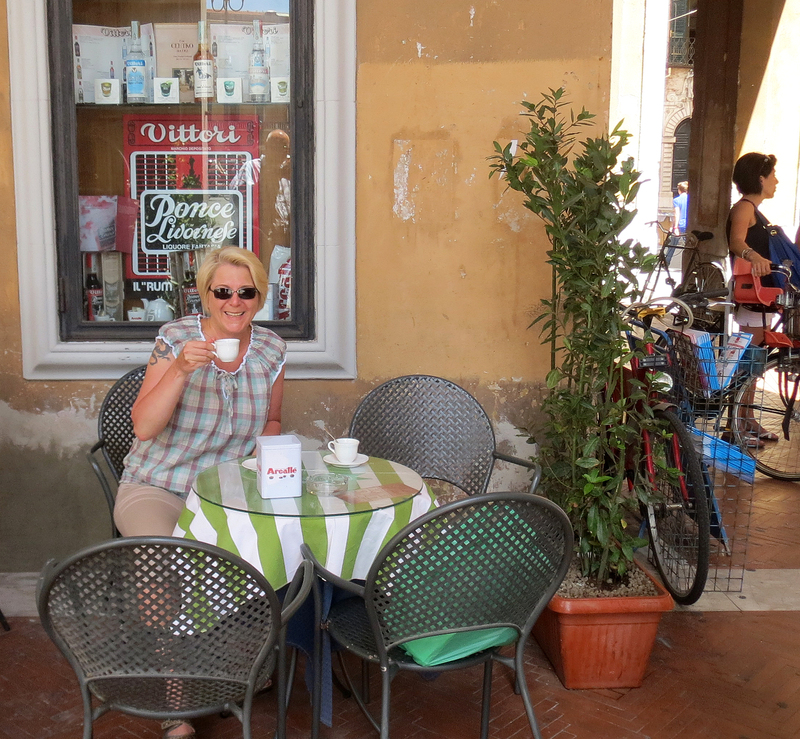 Before leaving Pisa, we sat down and enjoyed a glass of cold water and a double espresso. There are plenty of cafeterias and coffee shops to choose from. 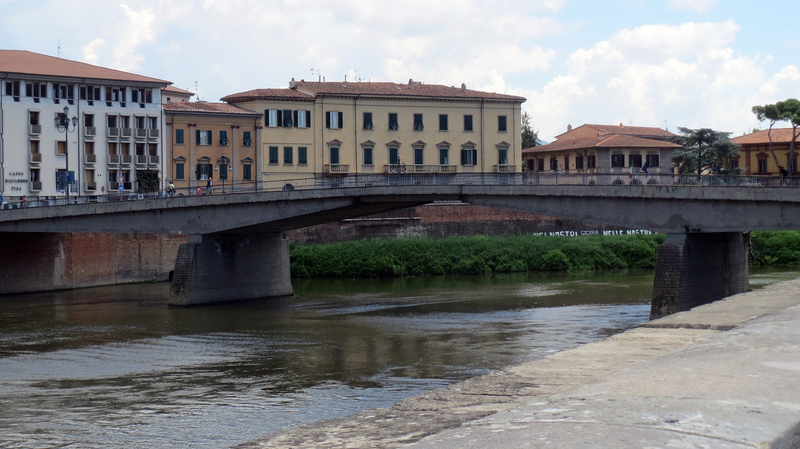 We walked along the river Arno, on our way back to our car. It was beautiful, calm, silent and amazing. 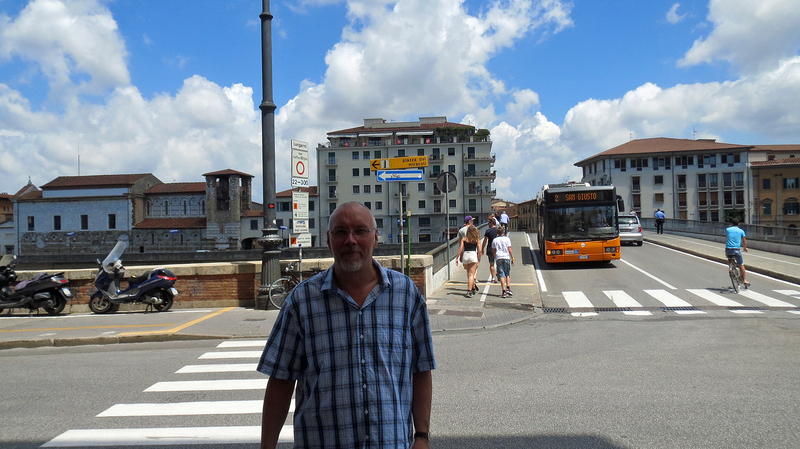 I can warmly recommend a day or two in Pisa. You will love it.